Content should describe opportunities to advance palliative care and improve knowledge, skills and networking, e.g. education and training, travel grants, access to online resources, etc. Content must be relevant to a global audience. Copy deadline: 21st of each month. Please submit your copy to the editor, together with a JPEG image, eg conference logo. We reserve the right to edit content. Please also consider promoting your education and training events in the IAHPC Global Directory of Education in Palliative Care. It’s quick and easy – just submit your content online. Each day, many of you working in hospice and palliative care reduce unnecessary suffering in your communities throughout the world. At IAHPC, we are grateful for your commitment and dedication. We invite you to watch our video and listen to our colleagues as they describe IAHPC’s impact on minimizing suffering through the benefits provided to its members, such as Traveling Scholarships. Please share with your colleagues and friends so that they too may join our global palliative care movement! Thank you so much for your support and commitment. The Scientific Committee of the 3rd ICPCN Conference, taking place from 30 May to 2 June 2018 in Durban, South Africa, remind you that 24 November 2017 is the deadline for submission of abstracts. All members of the multidisciplinary team, including students, researchers, professionals, volunteers and parents are welcome to submit abstracts for this conference. Integration of Children’s Palliative Care in Health, Social & Education Systems. Submit your abstract here. Register now before Early Bird closes on 28 February 2018. 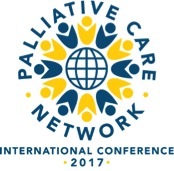 Note: IAHPC is offering 10 scholarships to support the travel of palliative care workers to attend this conference. Read more on IAHPC Opportunities page. This review article, published in Public Health, follows the official call in which the International Association for Hospice and Palliative Care (IAHPC), European Pain Federation (EFIC) and International Doctors for Healthier Drug Policies (IDHDP) were involved. But hurry . . . the opportunity to download the article free of charge is valid only until early December so please download your copy now! W Scholten, O Simon, I Maremmani, C Wells, JF Kelly, R Hämmig, L Radbruch, Access to treatment with controlled medicines rationale and recommendations for neutral, respectful, and precise language. Public Health. In press: Vol. 153, December 2017, Pages 147–153. Published first online 19 October 2017. Language Matters . . .
Are you interested in how the use of inappropriate language and words can be a barrier to access to medicines for the legitimate use of opioids? Then please visit our new online resource, Language Matters, on the IAHPC website edited by Willem Scholten. Plenary speakers, invited lectures, submitted lectures, and posters, available on demand. One-month access. This conference is held under the auspices of the European Association for Palliative Care. Earn up to 23 CME credits. Members of Partner Organizations receive a discount at registration: Promo Code: PCN2017. Register for the IPCNC 2017 here. Find out more about the Palliative Care Network here. VOICE of VOLUNTEERING in Hospice and Palliative Care – please add your voice and sign the Charter . . . Volunteers are acknowledged as an important resource in hospice and palliative care services worldwide. The European Association for Palliative Care (EAPC) Task Force on Volunteering aims to raise awareness of this amazing resource through sustained work and research. 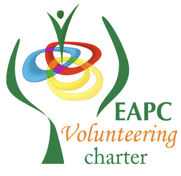 Already signed by over 1,500 persons around the world (26 countries in Europe, North America, Australia, Africa and Asia), Voice of Volunteering, the EAPC Madrid Charter, is one of the results of this work. The Charter offers inspiration and guidance for hospice and palliative care services in their volunteering programs. If you, or your organization, believe that Volunteering in Palliative Care is important, if you recognize volunteering as a third resource with its own identity, position and value, and if you think research and best practice models in volunteering management define your own VOICE of Volunteering, it is time to sign the Charter here. (Or you can also sign here). Find out more about the European Association for Palliative Care (EAPC) Task Force on Volunteering here. Jon Baines Tours have run a number of very successful study tours examining palliative care all over the world. The next explores beautiful South India in February 2018. The tour includes fascinating visits ranging from prestigious large hospitals, to Ayurvedic hospitals, to hospices and village community projects in rural India. Travel from gentle, eclectic Kerala into the ancient and cultural land of Tamil Nadu and learn first hand about this richly rewarding part of India in the vibrant company of palliative care pioneer, Gilly Burn. To find out more, please visit our website. Or call us on +44 (0) 20 7223 9485 or email us. 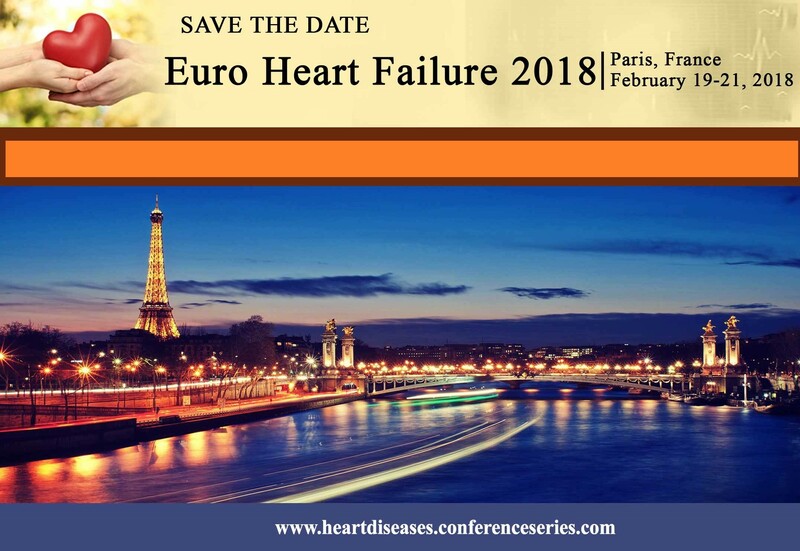 As the world’s premier cardiology conference, 23rd European Heart Disease and Heart Failure Congress (Euro Heart Failure 2018) is a rich mix of Interactive Sessions & Sub-sessions, keynote lectures from industry experts, panel discussions, poster competitions and Young Researcher Forums. Main topics: Heart Diseases, Hypertension, Electrocardiography, Pediatric & Geriatric Cardiology, Interventional Cardiology, Cardio-oncology, Diabetes & Heart, Cardio-thoracic Surgery, and Cardiac Nursing and more. 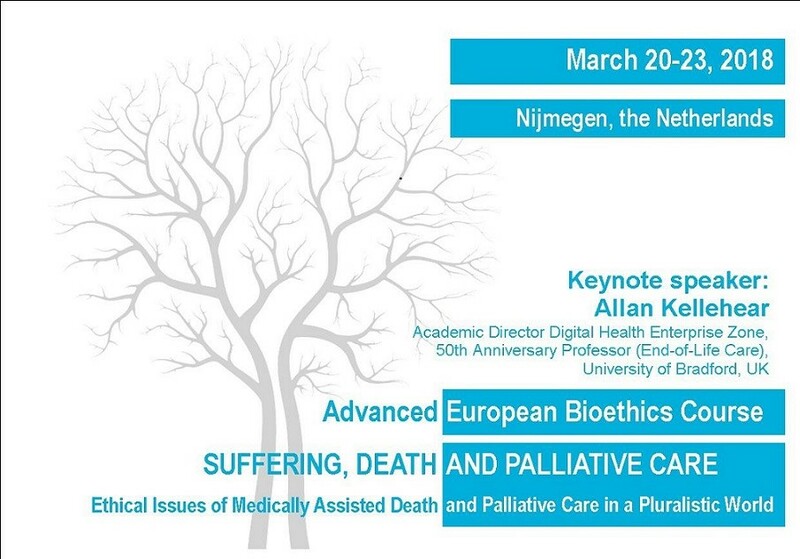 The section of Healthcare Ethics, Department IQ Healthcare, (Radboud University Nijmegen Medical Centre) is organizing the 20th edition of the Advanced European Bioethics Course ‘Suffering, Death and Palliative Care’. The course aims to educate participants in two main aspects: ethical questions of palliative care and medically assisted death, and philosophical, theological and medical reflections on the concepts of death and suffering. Keynote speaker: Professor Allan Kellehear, Academic Director Digital Health Enterprise Zone, 50th Anniversary Professor (End-of-Life Care), University of Bradford, UK. This course will be of interest to participants from diverse professional backgrounds, such as nursing, medicine, healthcare administration, ethics, philosophy, theology and pastoral care, and PhD students undertaking study in these areas. Course language: English.